Job portal web development process is completely different from that of other website designs. The job portal web designers have to take care of the professionalism that has to be reflected in the portal. The website has to be easy to navigate and there should be two different platforms one for the job seekers and one for the employer. Apart from making it look professional and clean, the sign up form shall be set in such a way that it is easy to fill up and understand. One click apply option has to be there for the user. If the user does not want some companies to see his or her profile, he shall be able to blacklist those companies. The latest technology shall be used while doing job portal development. Finding a job that suits your skill and fulfill your requirements is not a hard thing anymore. You don't need to depend on newspaper advertisements anymore and wait for the particular day in the week to find the suitable jobs. At the same time, you don't require running from one company to another to ask if there is a vacancy or not. 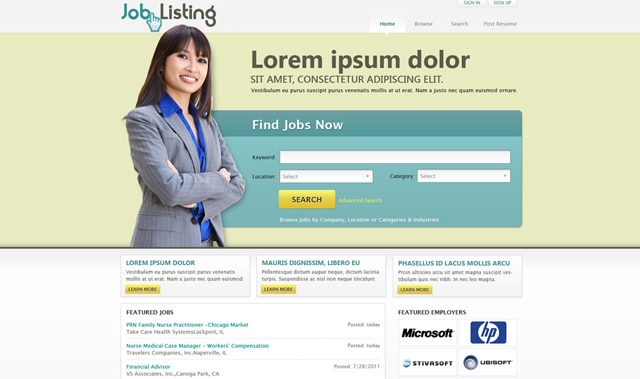 The modern day job portals have made it easy for job seekers to find jobs.